Moving into a vintage home in Atlanta is like a dream come true. We spend the better half of our lives in the air-conditioned chambers of high-rises in Atlanta, so, retreating back into a sprawling bungalow is indeed welcoming. Along with the old world charm, these decade-old buildings also come with some inherent problems, most of which are related to electrical wiring. We are always consulting an Atlanta electrical contractor whenever there are frequent fuses that blow, or if some of the electrical equipment doesn’t work properly. The scariest part is probably the old wiring that runs through the ceramic tube of the floor joists or wall studs. 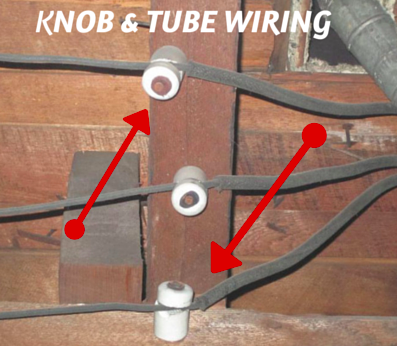 This wiring is called knob and tube wiring, and if the wiring is not tampered with, it is safe. However, you will have to try every trick in the book to convince the home insurance companies to write a new policy for your home if it has this type of electrical system. If you stay in a house that is already insured, you just need to hire an Atlanta electrician to evaluate your existing electrical system and make the much-needed repairs. However, if you are planning to buy the home, you have no option but to upgrade that knob and tube wiring. The ceramic insulation on the wire has become brittle due to its inability to handle high temperature and voltage as found in modern appliances. Upgrading this type of wire is not a Do-it-yourself (DIY) project, and you will need to hire the services of experienced electrical contractors in Atlanta to replace the outdated wiring system. If there are only a few knobs and tubes, then replacing the circuit won’t burn a big hole in your pocket. However, things can surely be expensive if you need to upgrade the electrical wiring of the entire home. The safety of your family members and properly working electrical equipment make upgrading the knob and tube wiring money well spent.